These literature holders will draw customers to your literature! 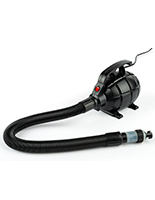 Double-sided unit is perfect for any high-volume environment. Green-edged acrylic is more durable than glass. Literature holders will make customers more interested in your collection of reading materials. 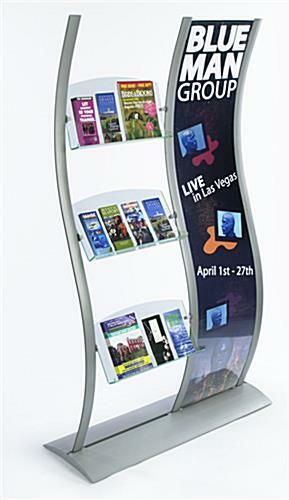 These wave-shaped units, literature holders combine a full-length graphic frame with a floor-standing brochure dispenser, creating a high-impact fixture! 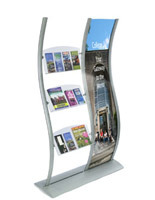 Literature holders, also known as promotional units, are great for retail stores, museums and other high-volume indoor venues. 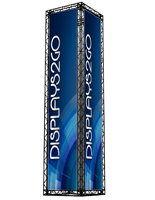 Passersby will be intrigued by your large advertisements, while takeaway brochures will leave a lasting impression. Literature holders feature (3) green-edged acrylic pockets. Green-edged acrylic gives an impression of glass pockets, without the danger of breakage and sharp edges. Also, included with your unit is a 5-pocket literature divider for optional use. 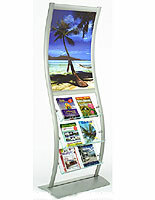 These graphic frames, literature holders have a base and side supports constructed from silver-coated brushed aluminum. When used indoors, your holders will be resistant to rust! 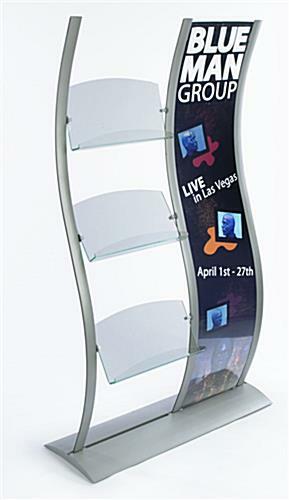 These contemporary presentation units are double-sided literature holders! 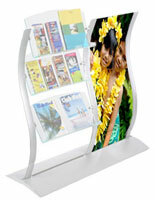 We provide these literature holders with (2) clear plastic lenses to protect your posters from everyday wear and tear. Literature holders, such as our other curved marketing stands, have adjustable brackets to modify the height of each acrylic pocket. You can also change the direction at which each pocket is facing, allowing customers to access your publications from either side of your display. Please Note: Graphic is not included with display frame. 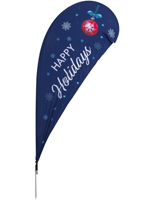 When designing your images, keep in mind the actual graphic size is 18"w x 77"h, where 1/2" on each side is covered. Your graphics should be printed on regular poster paper, so as to ensure they will fit securely within the grooves. This will not be a problem for any printing service facility. 49.0" x 81.0" x 17.0"
22.0" x 12.3" x 2.5"